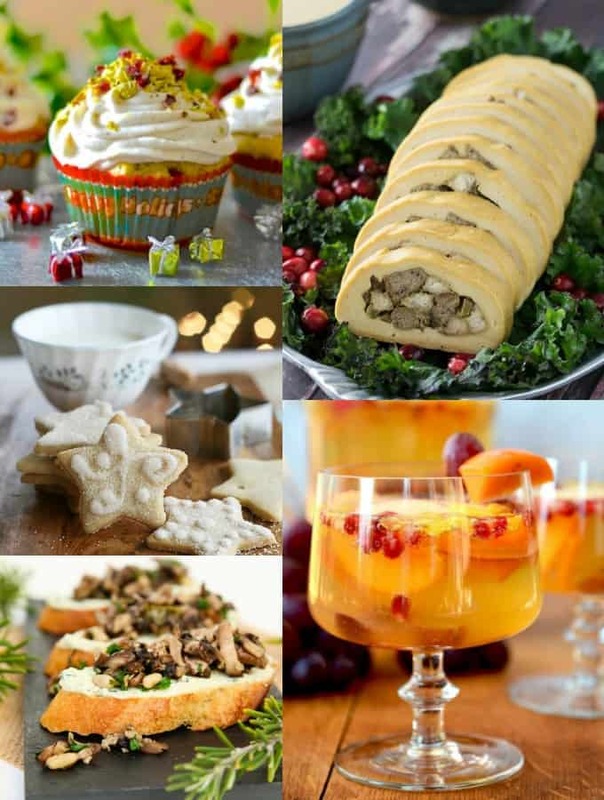 Are you looking for vegan Christmas recipes? Then look no further! It’s the most magical time of the year and vegans definitely don’t have to miss out on the delicious Christmas feast. This post provides you with festive vegan mains, appetizers, drinks, dessert, and even vegan Christmas cookies! With the help of some fellow food bloggers, I put together a stunning roundup of 33 delicious vegan Christmas recipes. 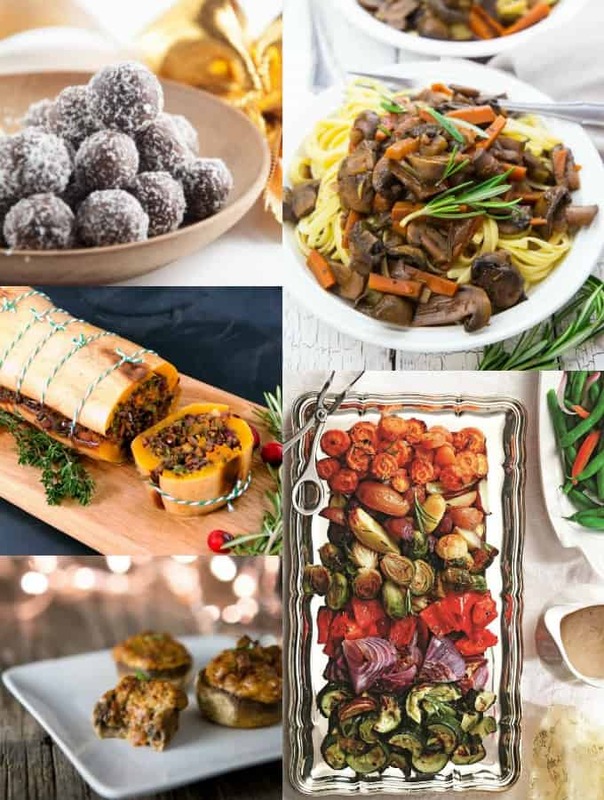 We’ve got you covered with so many delicious festive vegan recipes that are perfect for the holidays! Impress your family and friends with these delicious recipes and show them that vegan food doesn’t have to be boring and plain! We’ve got something for every taste. You can make a whole vegan Christmas menu with these recipes. We’ve even got vegan Christmas cookies for you! To make it even easier for you, I’ve divided this roundup into six parts. If you’re into baking, check out my separate roundup of 25 amazing vegan Christmas cookies with even more Christmas cookie recipes! Enjoy a meatless Christmas this year with a delicious vegan feast! As always, click on the heading above each photo to see the recipe. So let’s get started with the yumminess! 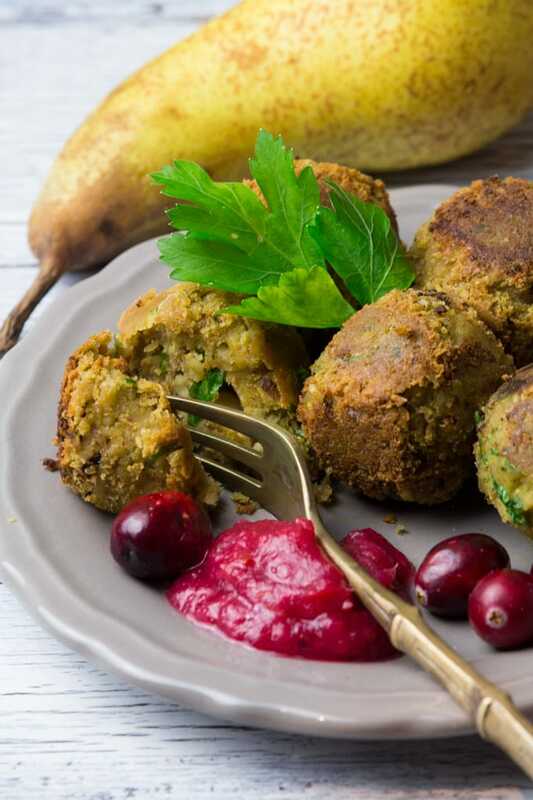 These vegan falafel with cranberry pear dip make a great appetizer for your Christmas feast. They’re ready in just 25 minutes. Who knew falafel could be this festive?! 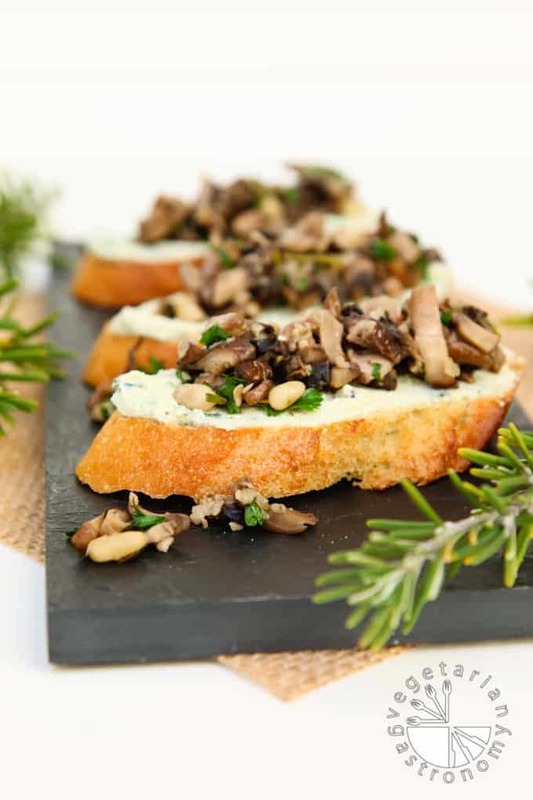 These mushroom crostini by Anjali from Vegetarian Gastronomy are the perfect bite-size appetizer! Anjali used a delicious tofu-based basil vegan ricotta spread for these crostini. Besides, she topped them with a rich mixed mushroom mixture. This kale farro salad by Kristie from The Mostly Vegan makes a perfect addition to your Christmas dinner table. 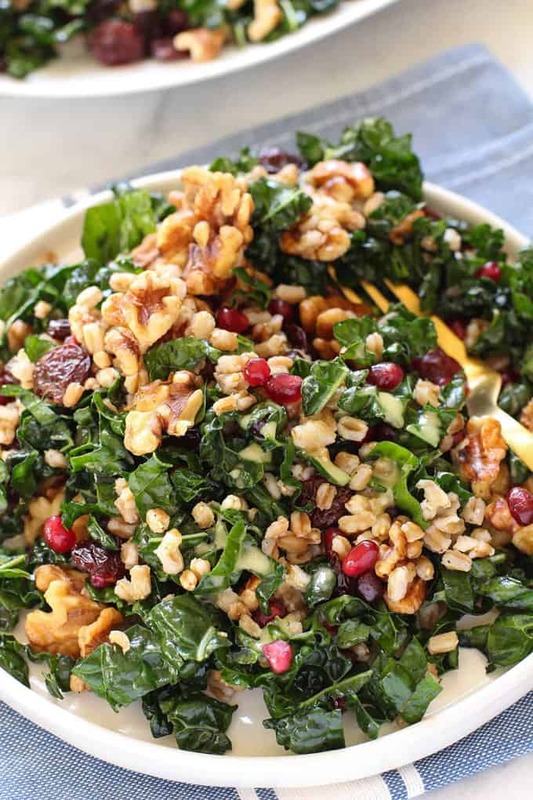 It’s packed with hearty kale, farro, toasty walnuts, pomegranate seeds, and dried cherries. Super healthy and delicious! 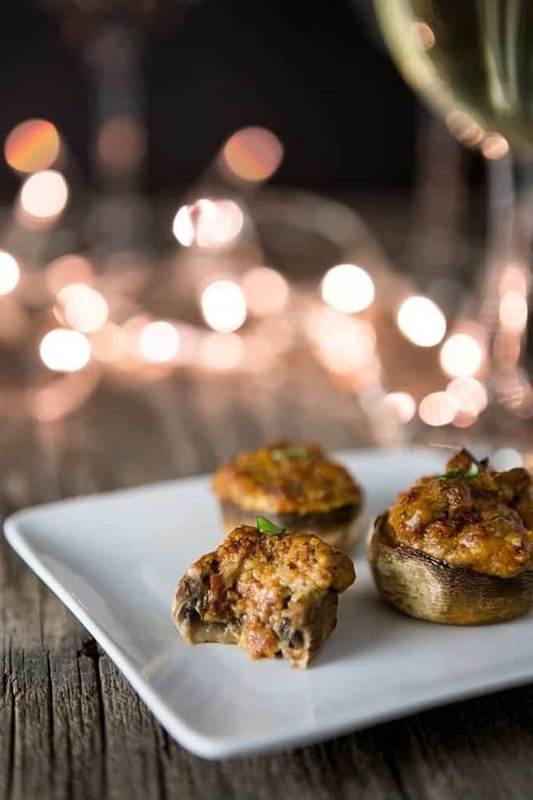 These vegan stuffed mushrooms by Gin from Eat Healthy, Eat Happy are perfect for your holiday party! They’re made with simple ingredients. Besides, they’re gluten-free and low carb. Isn’t this vegan Christmas tree cheese platter by Amy from Veggies Save the Day super cute? You can make this festive vegan cheese platter in just 5 easy steps. It’s vegan, gluten-free, and soy-free. 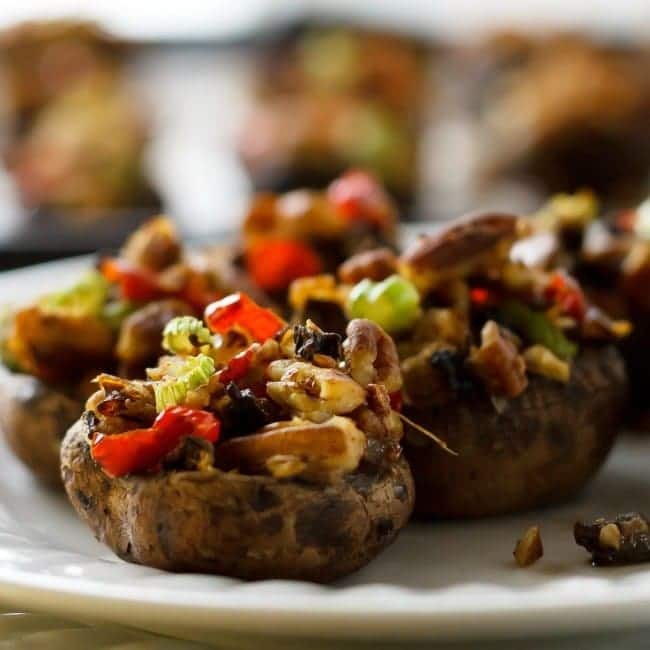 Angel from Cheftographer filled her stuffed mushrooms with sun-dried tomatoes vegan cream cheese, garlic, and basil. Enjoy them with a glass of white wine! 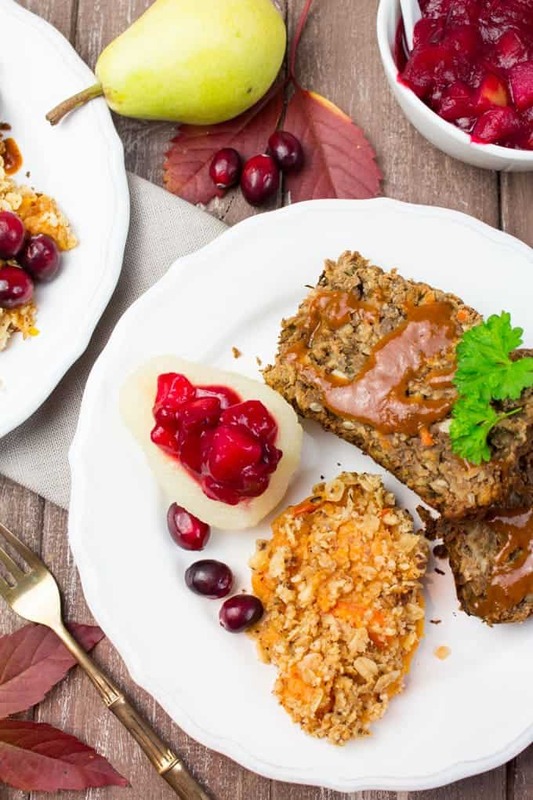 This vegan lentil loaf is such a great recipe for the holiday season! It’s festive, easy to make, healthy, and soooo delicious! I served it with vegan gravy, pumpkin and sweet potato mash, and cranberry sauce. Impress your family at your next family dinner with this lentil loaf! Who says you can’t have a burger for Christmas? These vegan holiday burgers by Brittany from I Love Vegan are super festive! 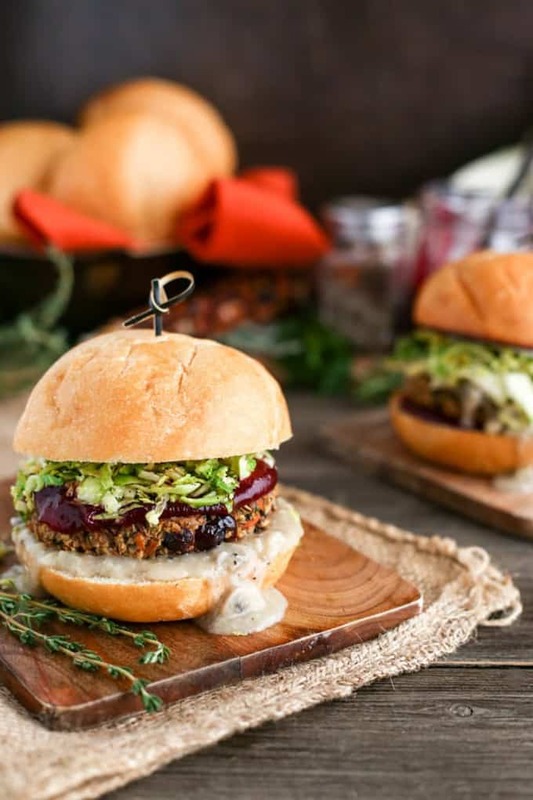 Brittany used a holiday-inspired veggie patty, mushroom gravy, cranberry glaze, and garlicky Brussels sprout slaw for her burgers. So yummy! 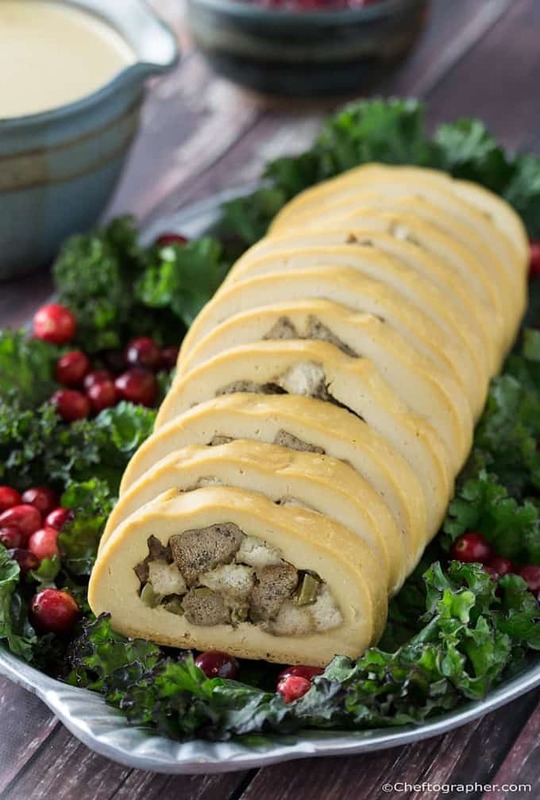 Angel from Cheftographer used well seasoned tofu for her vegan turkey roll and a gluten-free stuffing. Serve it with vegan gravy for a crowd-pleasing holiday meal! 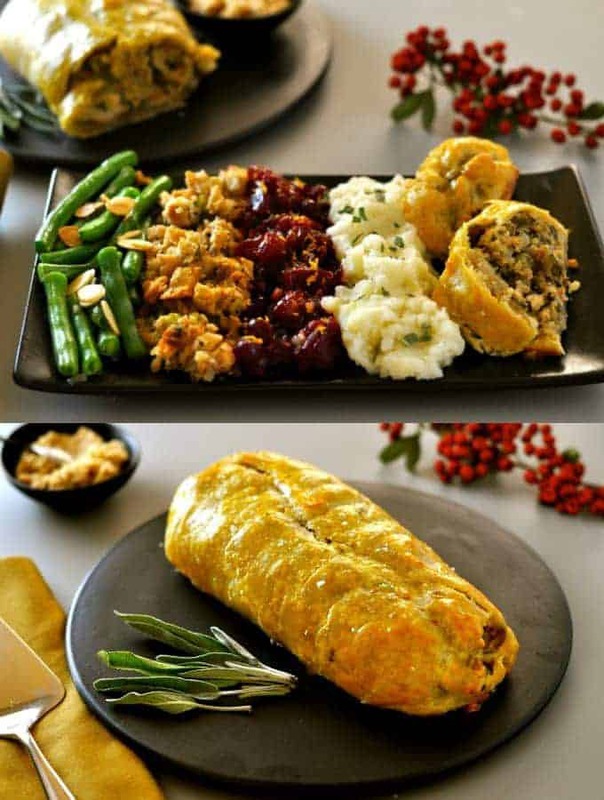 This vegan roast Wellington by Nancy from Ordinary Vegan is another great holiday meal. Nancy filled it with lentils, mushrooms, and chestnuts. It’s a bit more work, but totally worth it! 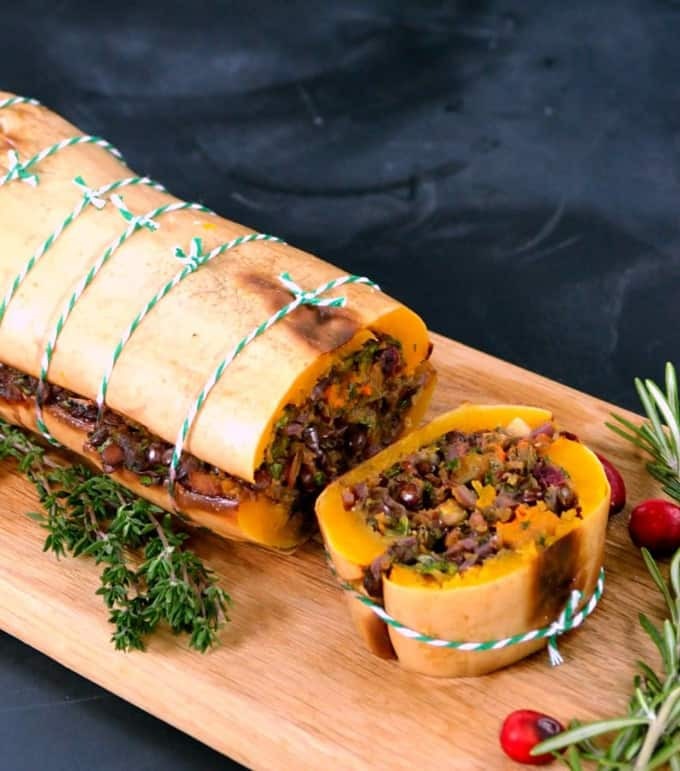 This festive butternut roast by Kate from The Vegspace would make such a great center piece at your Christmas table. It’s relatively easy to make and it’s full of festive flavors and ingredients. Besides, it’s indulgent but not too heavy. 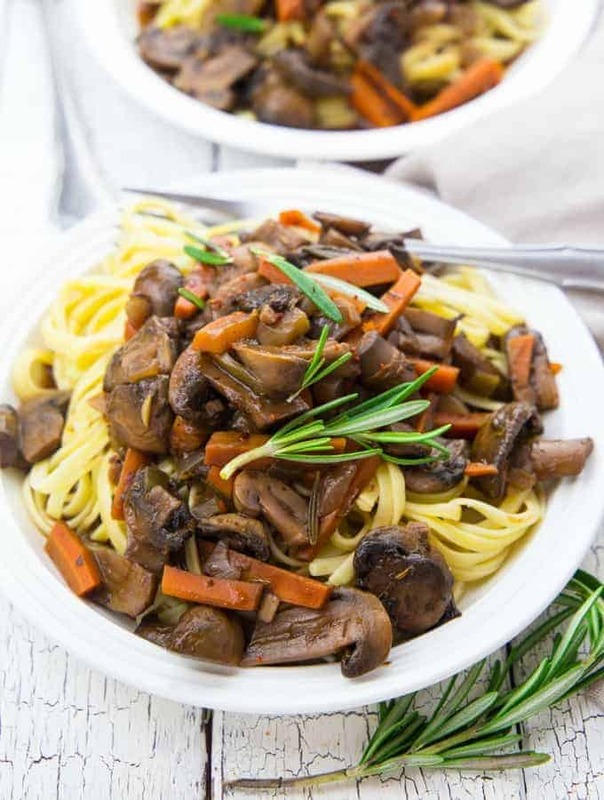 This vegan mushroom bourguignon is the perfect veggie alternative to the traditional French stew that is made with beef. If you like mushrooms, you will LOVE this hearty mushroom sauce with fettuccine! It’s perfect for the Holidays – quick, delicious, and the red wine makes it super decadent! 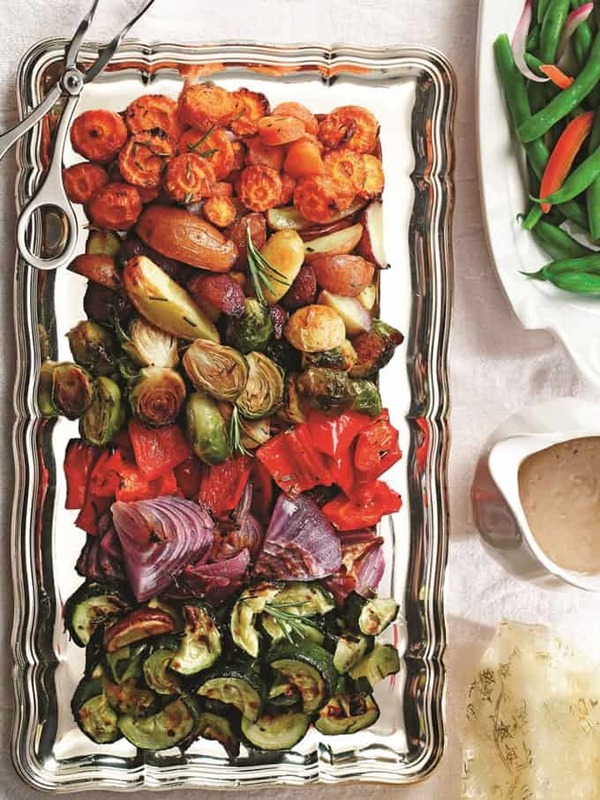 These rosemary roasted winter vegetables by Alisa from Go Dairy Free are such a great side for your vegan Christmas feast! Alisa cooked carrots, potatoes, zucchini, onions, and Brussels sprouts at high heat and dusted them with salt and garlic. And let’s not forget about the right amount of oil and fresh rosemary. Easy and delicious! 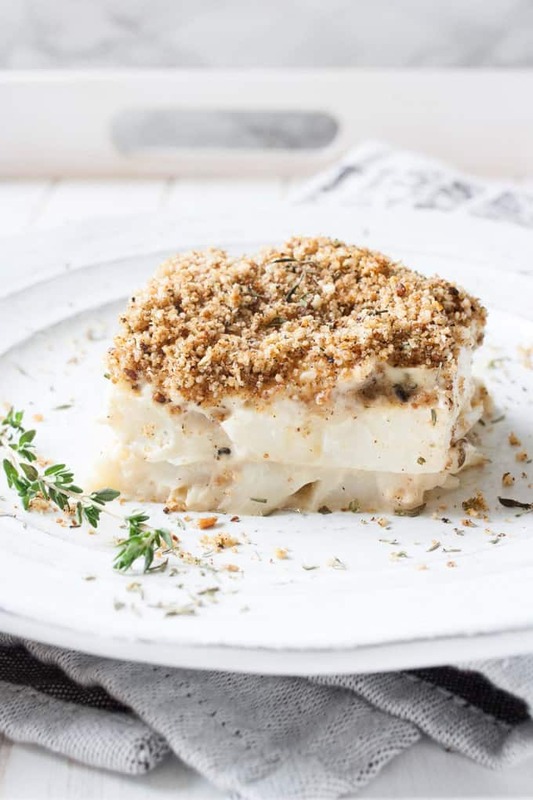 This vegan scalloped cauliflower by Sophia from Veggies Don’t Bite is a low carb alternative to scalloped potatoes. However, it’s still super creamy and filling. Add it to your holiday list if you’re looking for healthier meals! 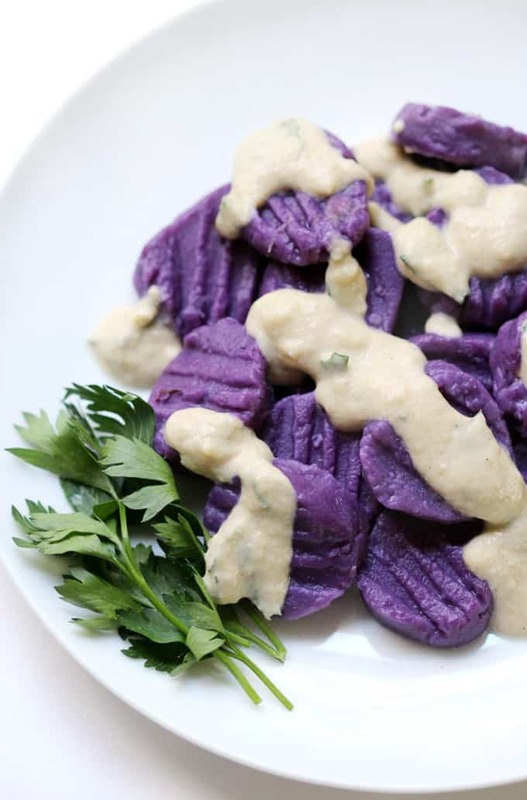 Don’t these purple sweet potato gnocchi by Rebecca from Strength and Sunshine look super fancy? What a stunning color! Rebecca served them with a tahini parsley sauce. And the best thing is that they’re gluten-free, vegan, nut-free, and paleo-friendly! 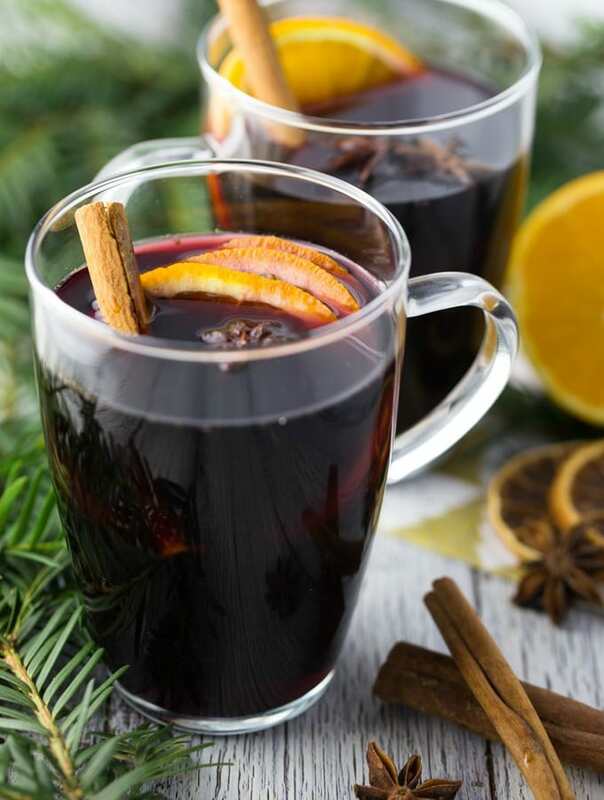 This German mulled wine is the perfect Christmas drink! It’s prepared from red wine that is heated and spiced with Christmas spices. And it’s ready in just 10 minutes! Soooo delicious! 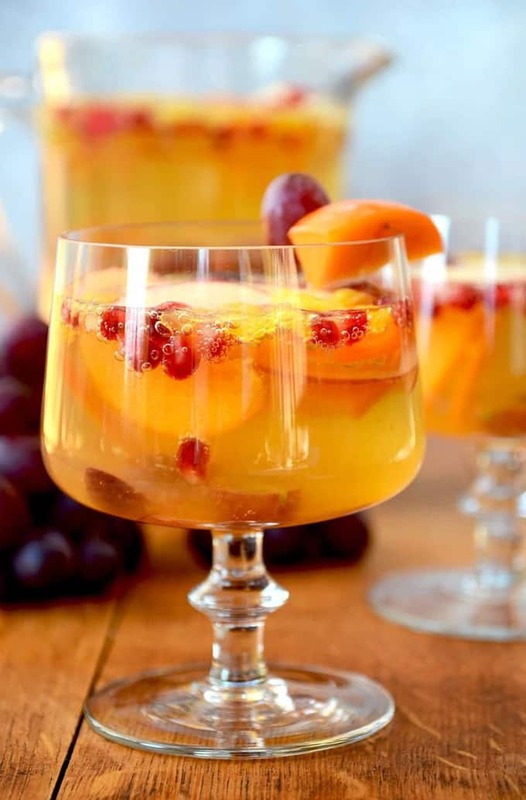 Charity from Vintage Kitty made a holiday version of traditional sangria. She soaked pomegranates, apples, persimmons, grapes, and oranges in hard cider overnight. Besides, she also added sugar and apricot brandy. And the best part is that you get to eat all the boozy fruit when the cider is all gone! This vegan eggnog flavored by Linda from Veganosity is Christmas in a glass! 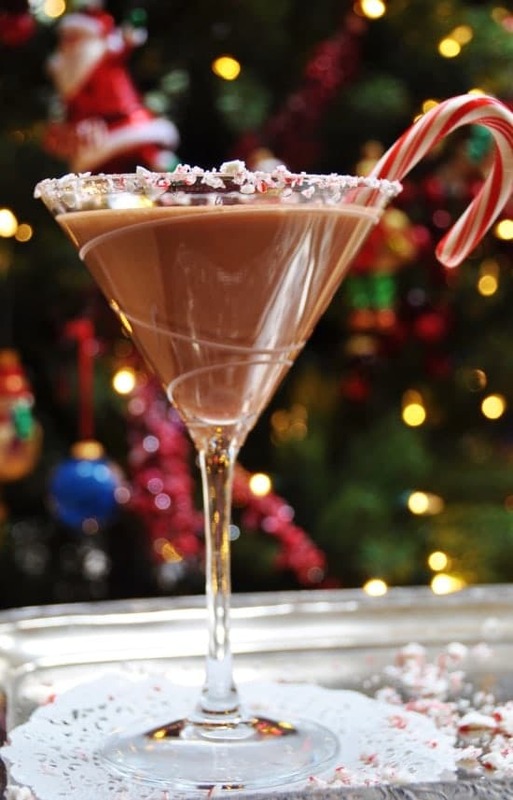 It’s flavored with cinnamon, nutmeg, chocolate, and a hint of peppermint from the candy cane garnish. The perfect Christmas drink! 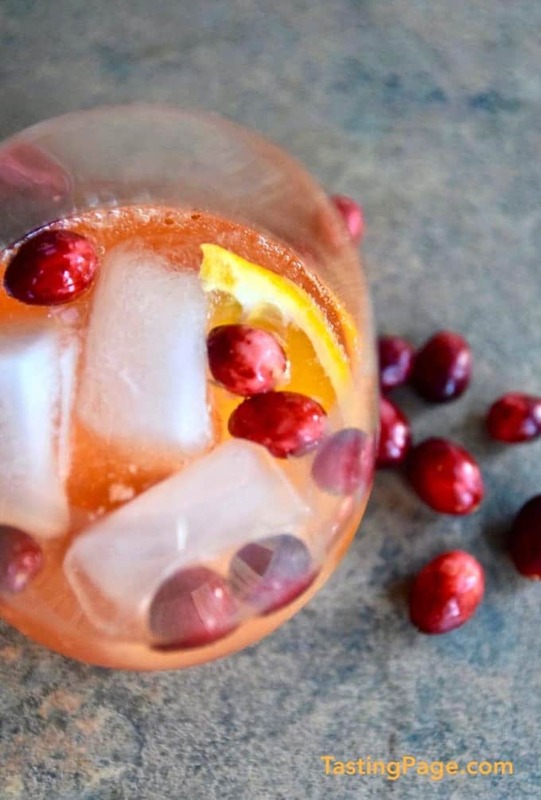 This sparkling cranberry aperol spritz by Kelly from Tasting Page is super festive while being pretty easy to prepare. Serve it with ice cubes, orange slices, and fresh cranberries. 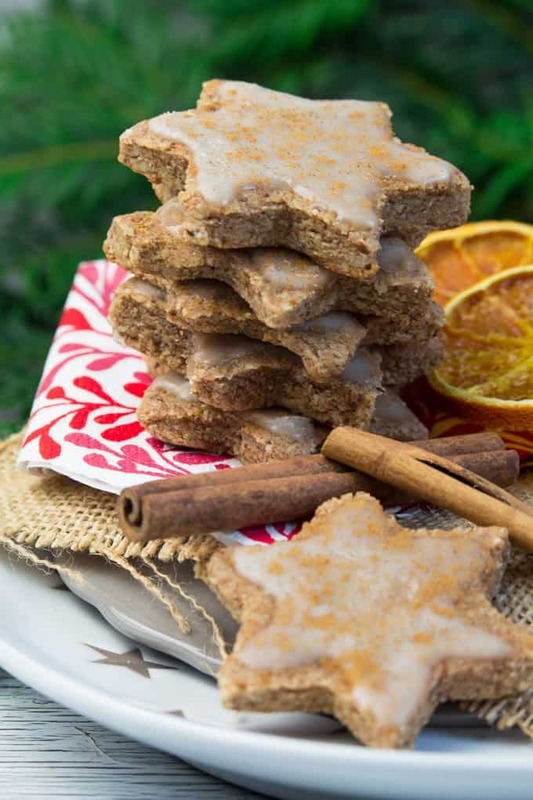 These vegan orange cinnamon Christmas cookies that have been one of my favorites for years! They’re extremely easy to make, packed with flavor and nutrients, and sooo delicious! Oh, and let me tell you there is a lot of cinnamon involved! 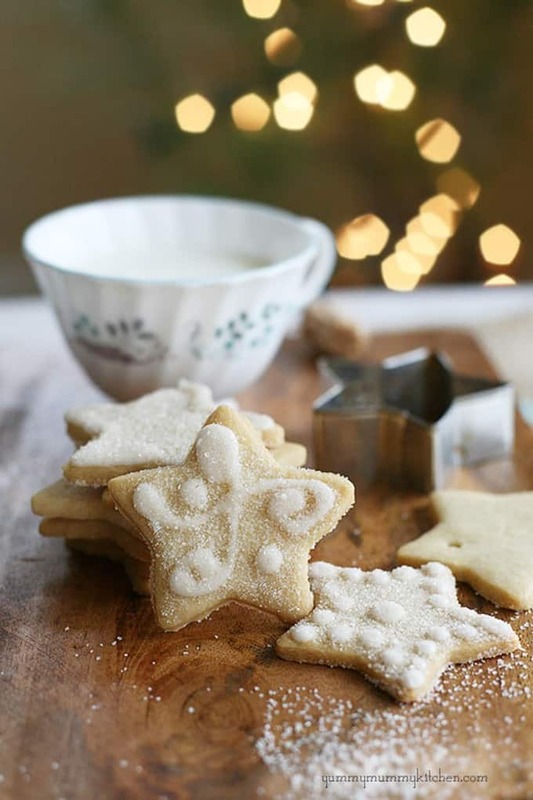 These delicious vegan sugar cookies by Marina from Yummy Mummy Kitchen are the perfect sweet treat for the Christmas season. Marina used coconut oil for these cute little star-shaped cookies. 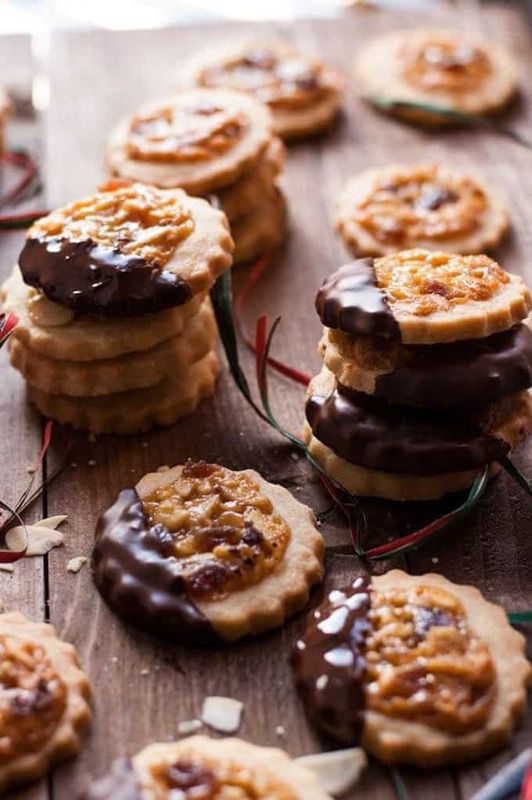 Ania from Anna Banana veganized a classic Italian Christmas biscuit recipe for her vegan florentine biscuits. They’re super delicious, crumbly, and crunchy. And to make them even better, Ania topped them with glace cherries and flaked almonds. 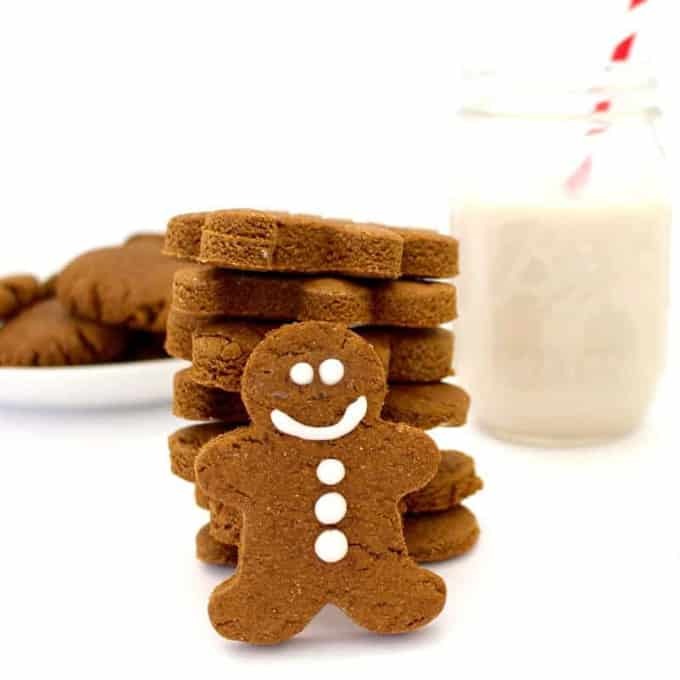 And of course we need ginger bread cookies in this roundup of vegan Christmas recipes. 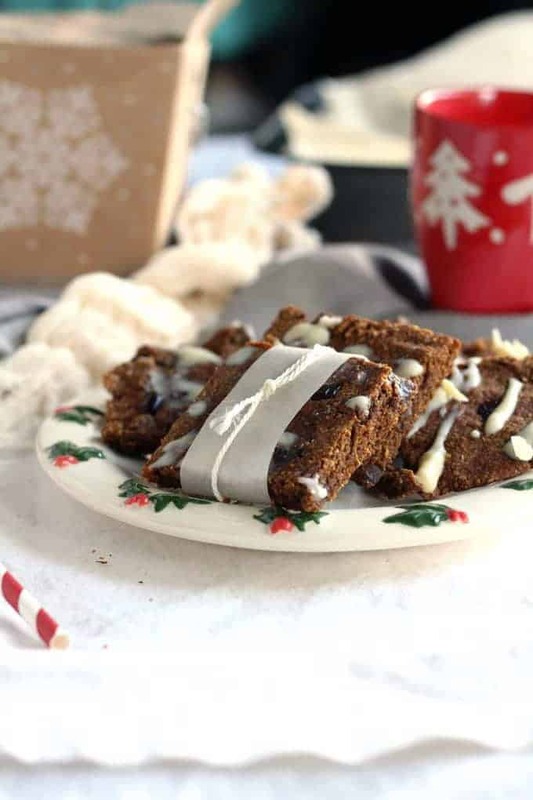 These ginger bread cookies by Brittany from I Love Vegan are a great fit! They’re perfectly spiced and not too sweet. And look at that cute decoration! These cranberry white chocolate gingerbread cookie bars by Leah from Love Me Feed Me make a great gift. They’re spicy, sweet, and tart at the same time. Besides, they’re chewy and a little crumbly. 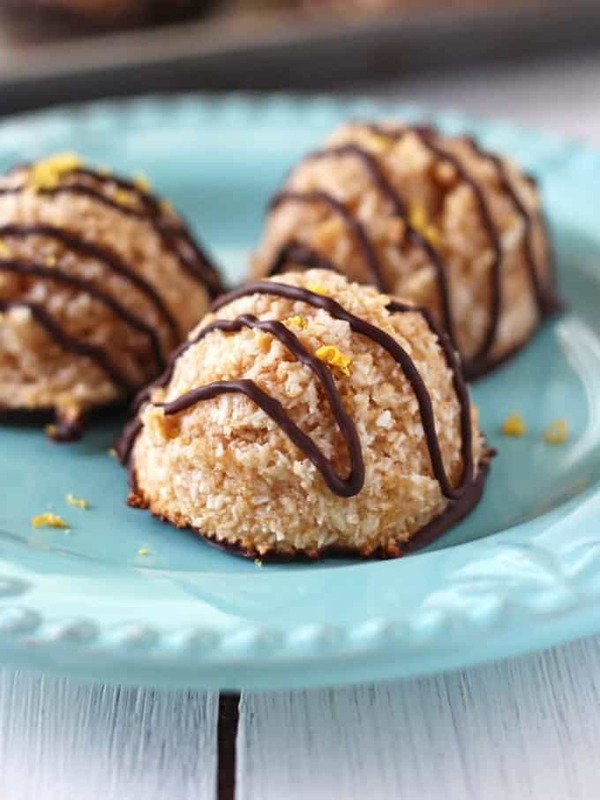 These chocolate dipped lemon macaroons by Brie from Toaster Oven Love make such a delicious sweet treat for Christmas! They’re packed with flavor and they’re super easy to make. 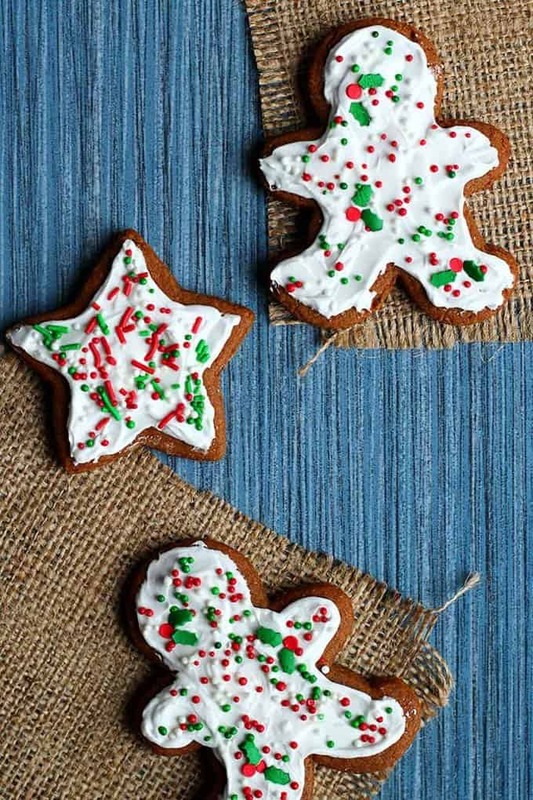 These vegan gingerbread cookies by Annie from VegAnnie are so cute and festive. 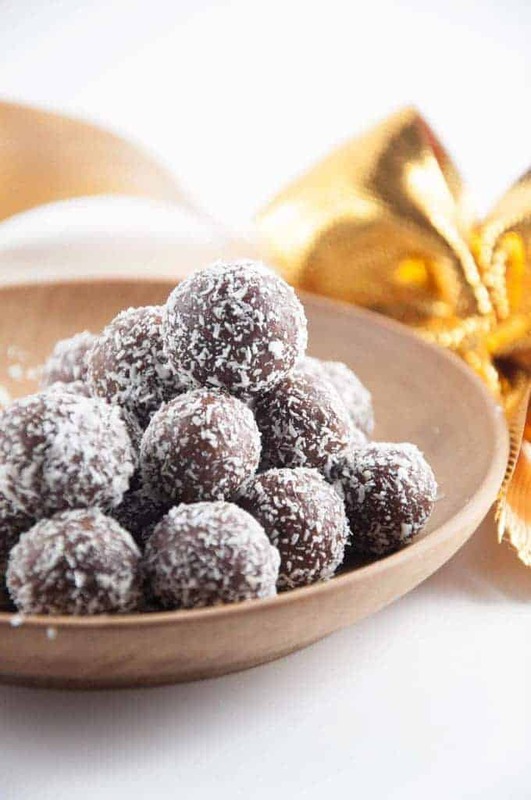 hey are vegan, gluten-free, and contain no refined sugar, making them the perfect little holiday treat! 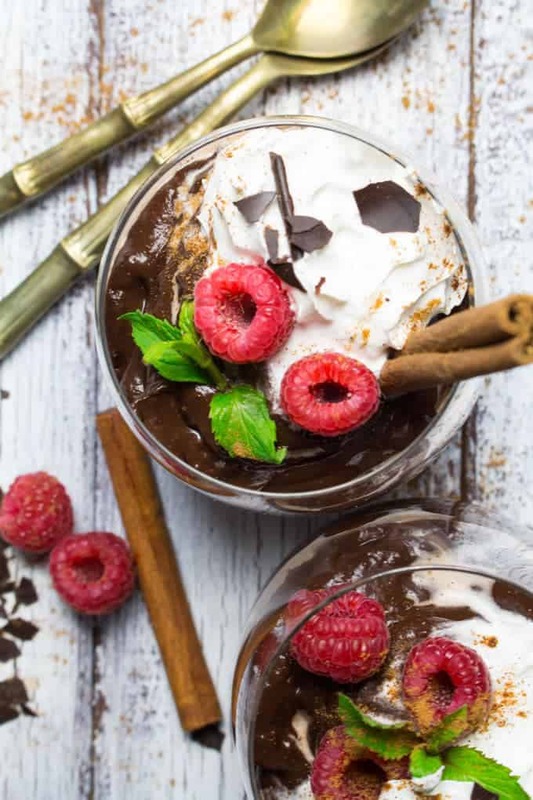 If you’re looking for a healthy dessert, then this gingerbread chocolate mousse is perfect for you. It’s made with avocado, bananas, and dates. So it’s not only sugar-free but also packed with nutrients. And soooo delicious and perfect for Christmas! Cinnamon is just the perfect Christmas spice! 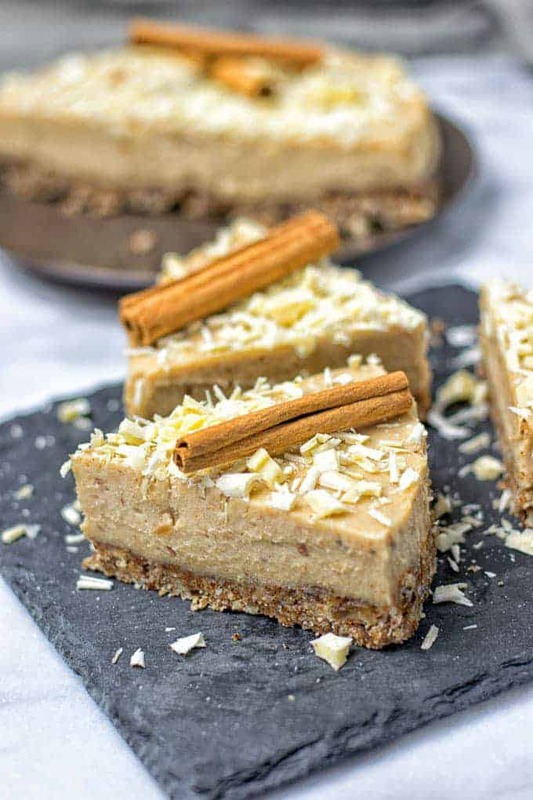 This cinnamon white chocolate cheesecake by Florian from Contentedness Cooking is the perfect vegan dessert for Christmas! It’s a no bake cake that is ready in just two easy steps. This gingerbread nice cream by Natalie from Feasting on Fruit is another delicious and healthy vegan dessert recipe for Christmas. 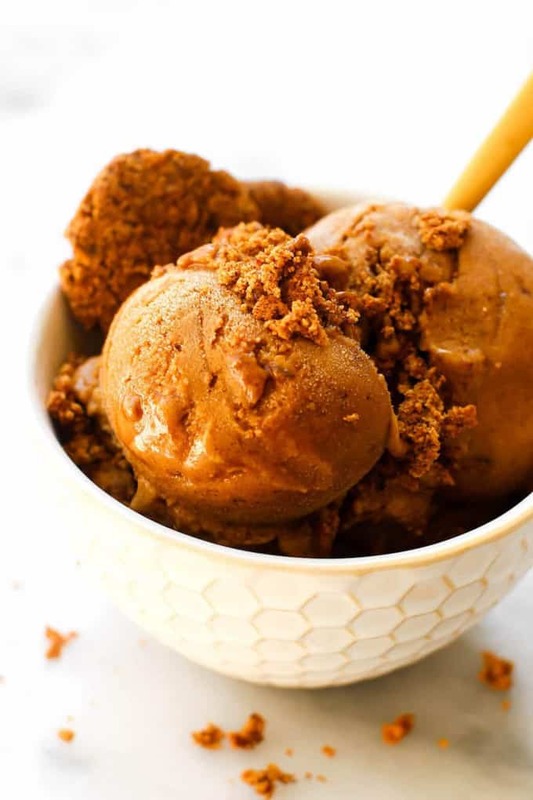 Natalie used bananas as a base for this delicious vegan ice cream with plenty of spices and cookie chunks. And the best thing is that you don’t need an ice cream maker! 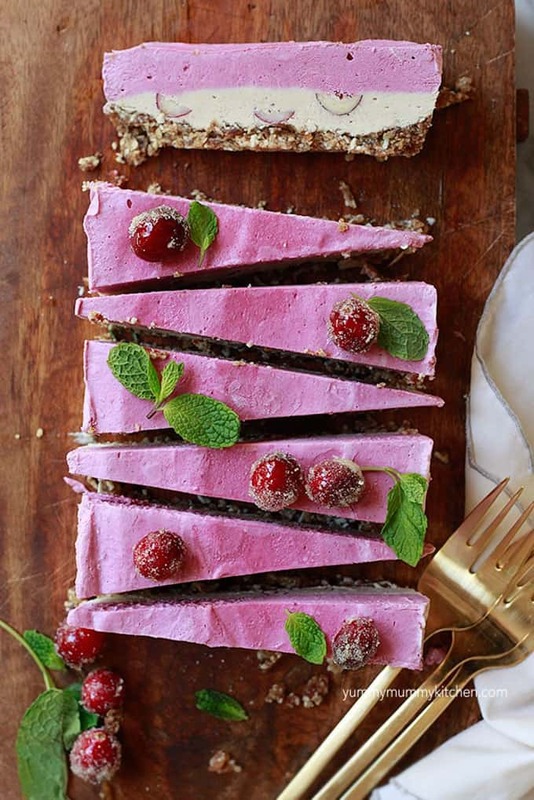 Doesn’t this raw vegan cheesecake by Marina from Yummy Mummy Kitchen look super stunning? I mean just look at that color! Besides, it’s naturally gluten-free, refined sugar-free, and vegan. It’s just perfect for Christmas! This cinnamon caramel bundt cake by Brandi from The Vegan 8 is oil-free, nut-free and made in one bowl. It’s perfectly sweet and moist. And the best thing is the cinnamon caramel glaze! 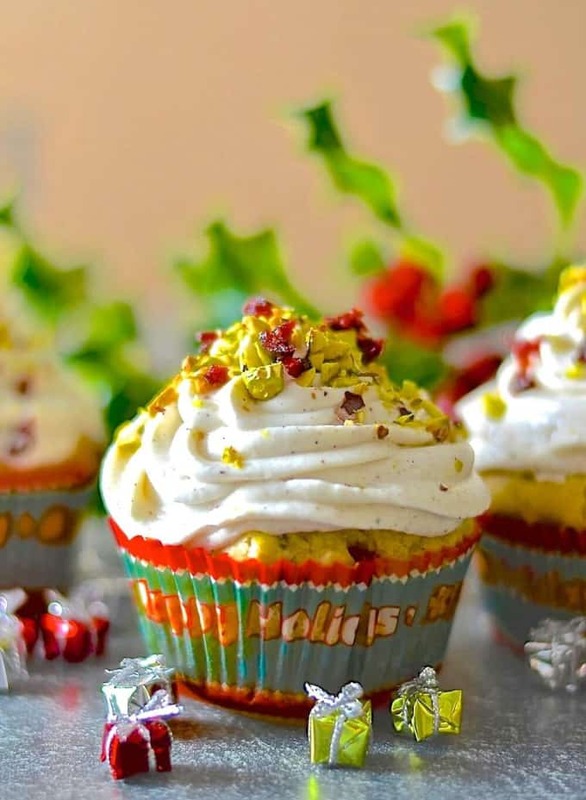 These cranberry orange muffins by Melanie from A Virtual Vegan are the most festive muffins I’ve ever seen! They’re topped of with a swirl of vanilla cream and vibrantly green and crunchy pistachios. I LOVE TO HEAR FROM YOU GUYS! I hope you enjoyed these vegan Christmas recipes as much as I do! Don’t forget to pin or share this post so you have these recipes ready when you need them! 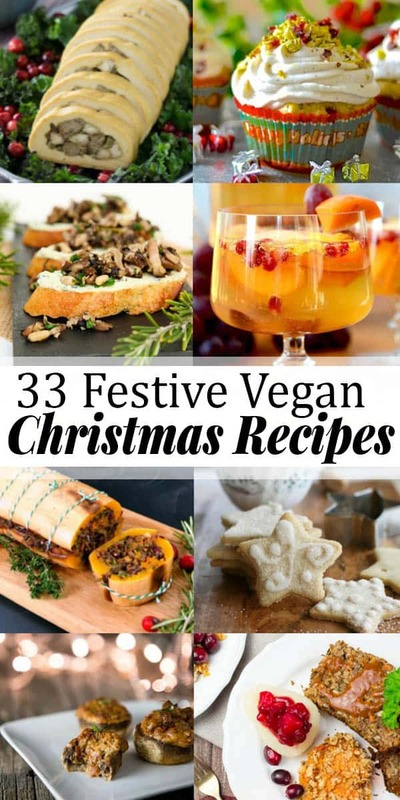 If you give any of these vegan Christmas recipes a try, I’d love to know what you think about it. Just leave me a comment below. Your comments really make my day! You like my recipes and roundups and want to see more? Then follow me on Facebook, Instagram, or Pinterest! LOVE this roundup!!! Thank you so much for featuring my recipe…you have some great ones on here i’ve already bookmarked! Will be sharing on social media! This is a beautiful collection of recipes! 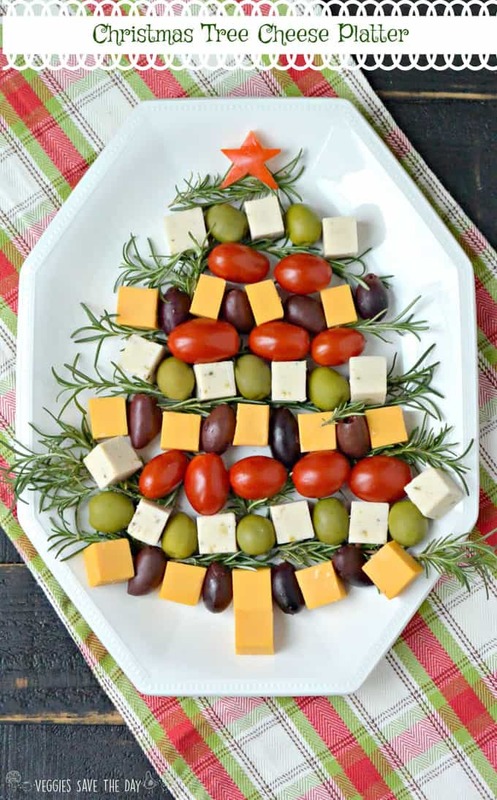 Thank you for including my Christmas Tree Cheese Platter! Great collection Sina! So many yummy festive nomzzzz :) that eggnog martini made me soooo thirsty ;) thanks again for sharing & merry Christmas! This is a great collection. Amazing roundup! Thanks for including my chocolate eggnog martini. Sharing everywhere! 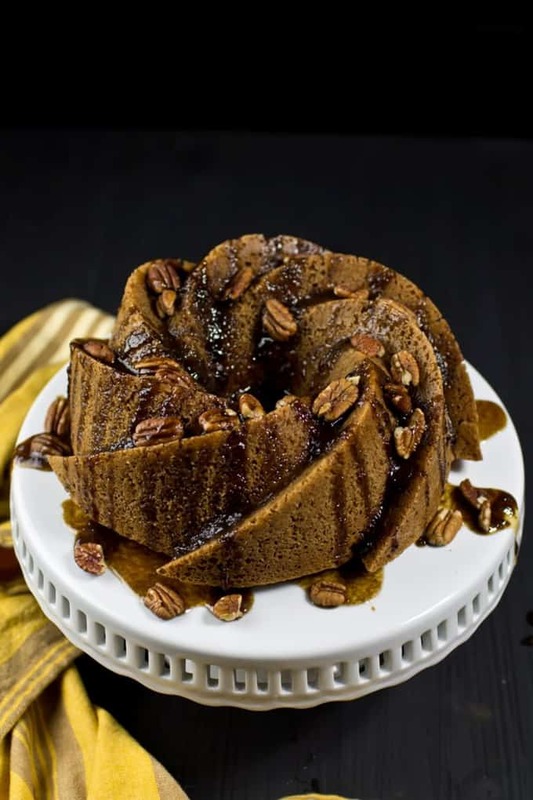 Such a fabulous roundup Sina, thank you so much for including my Cinnamon Caramel Bundt Cake! Hi, Thanks for stopping by! I'm Sina and this is my recipe blog where I share heavenly simple and sinfully delicious vegan recipes. Some posts may contain affiliate links, which means that if you click on one of the product links and actually decide to buy it, I’ll receive a small percentage of the total price - of course this does not cause any extra costs for you. I only recommend products that I personally love and use regularly.